Why do some backcountry hikers joke about how great it is to find a “three-bar forest” — a stretch of wilderness where their cell phones get a strong signal? How do people decide who gets to run the Facebook page of their deceased friend? How do the engineers behind online music-recommendation systems guess that fans of The National might also like Arcade Fire? These are just a few of the questions being explored by this year’s class of fellows at the Intel Science and Technology Center (ISTC) for Social Computing, one of a network of university-based research centers supported by Intel Corporation. Based at UC Irvine, ISTC-Social is focused particularly on interdisciplinary investigations of the social and cultural aspects of information technology and digital media. Graduate fellows are expected to participate in all ISTC activities and not only at UCI: Visits to Intel Labs in Portland and the center’s partner campuses (Georgia Tech, NYU, Cornell and Indiana University) are also part of the program. Informatics professor Paul Dourish of the Donald Bren School of Information and Computer Sciences, one of ISTC-Social’s co-directors, says this sort of collaborative thinking has been a great fit at UCI. When it first launched, ISTC-Social awarded four yearlong fellowships at UCI for the 2012-2013 academic year. This year, all four of those graduate student researchers have received another fellowship, and they have been joined by six more scholars. “As we’ve ramped up and figured out how to work on different, independent projects at the same time — all of which feed into larger-scale programs — we were more comfortable with more fellows this year,” says Bill Maurer, dean of the School of Social Sciences and the other co-director of ISTC-Social. Five of the 2013-2014 ISTC-Social Fellows are from the Bren School of ICS, one is from the School of Social Ecology, and four are from Social Sciences. Nick Seaver, a Ph.D. student from the Department of Anthropology, is investigating how online music- streaming companies like Pandora develop the algorithms that determine what kind of music to recommend to users, based upon their existing choices. Like Seaver, Ellie Harmon from the Department of Informatics is in her second year as an ISTC-Social fellow. 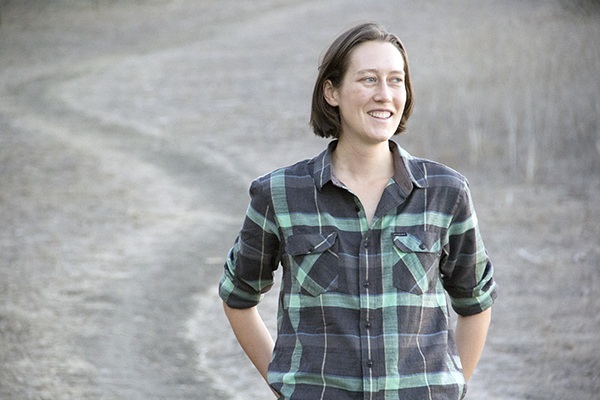 Last year, she researched how suburban families use smartphone technology to stay connected; this year she has just returned from traversing the Pacific Crest Trail, the 2,663-mile track that stretches from the U.S.-Mexico border to the U.S.- Canada border, where she examined how hikers experience smartphone connectivity (or the lack of it). Demonstrates how social media platforms and user practices are changing the conditions under which Americans experience death and mourning. “Evaluating Data: The Emerging Economy of Social Media Marketing” Explores the evolving landscape of the marketing industry and the specific services and technologies that social media agencies offer. Focuses on three innovation hubs in different stages of growth — Silicon Valley, Singapore and Santiago, Chile — to investigate the effects of startup programs at the micro and macro levels. A study of the experience of connectivity through a multi-sited ethnographic study of three situations: working professionals, suburban families and long-distance hikers on the Pacific Crest Trail. An ethnographic portrait of the materialities of file-sharing and hard-drive curation at an online file-sharing community. An investigation into knowledge-making and knowledge-sharing practices among the permaculture community. An inquiry into the ways people engage with systems, platforms and web services in the presence of ideological difference. An examination of macro-level institutional concerns with the embodied micro-practices of computer use in Korea. A multi-sited ethnographic study of music recommendation researchers at corporate and academic sites in the United States, that will explore the motivations behind design decisions that shape filtering algorithms. A yearlong, qualitative study of the role of collaboration in the acquisition of expertise among six newly matriculated Ph.D. students in the humanities.